Welcome back to The Cookie Elf File … and to easy cookie recipes, cookie trivia, offers, and simple baking tips to give you easy ways to bake 12 days of homemade Christmas cookies. Cranberry Sugar Cookies are an a variation of the traditional sugar cookie recipe (made with butter, flour, and sugar) … with 3 little tweaks. Convenience. It calls for a quick bread or muffin mix rather than measured ingredients from scratch. By using a mix, you save time and mess. Flavor. The added cranberry tang offers a surprising twist to the traditional rich, buttery flavor associated with most sugar cookie recipes. Time. Typically, sugar cookie dough is rolled out on the work surface and then cut into shapes using cookie cutters. 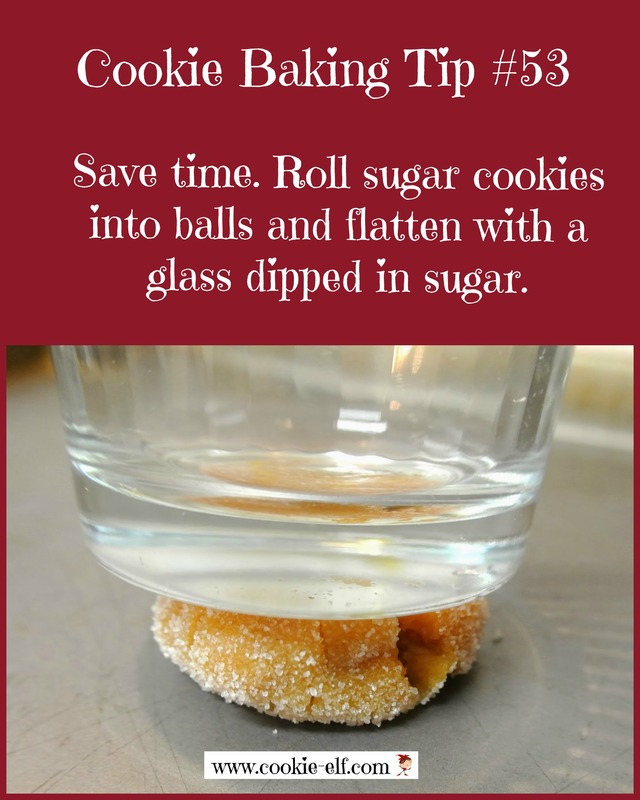 This recipe calls for cookie dough to be rolled into small balls and pressed down, producing round cookies. The recipe is just a tad different than traditional sugar cookie version, but it’s a simple (and flavorful) way to enjoy sugar cookies. 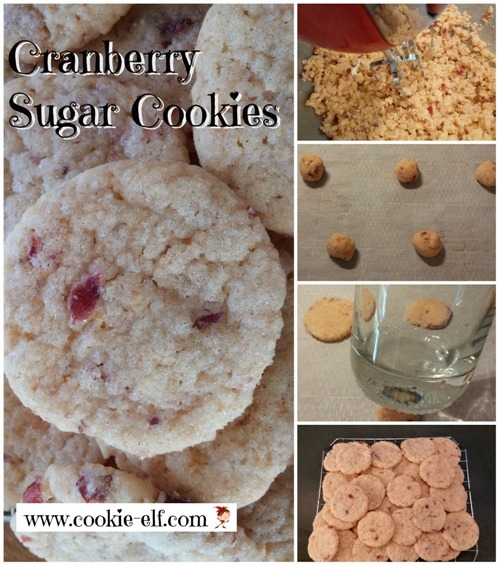 Get the full Cranberry Sugar Cookies recipe … and check out our Sugar Cookies Pinterest board for more easy sugar cookie recipes. Christmas Sugar Cookie Recipe: a Classic!